Hello friends! I'm back from imm Cologne and am so inspired by the panel of social media experts that I worked with while there that I can honestly say that NOW I have my blogging mojo back! I'm ready to take on the world again! I got the exact dose of energy that I needed at the perfect time so now I'm energized! I'm ready! Holly is BACK for 2013 and it feels great. SO! Let me show you some things that I discovered while in Cologne for my very brief trip. A little hint is above... But you will need to keep reading to discover who lives in this lovely home. 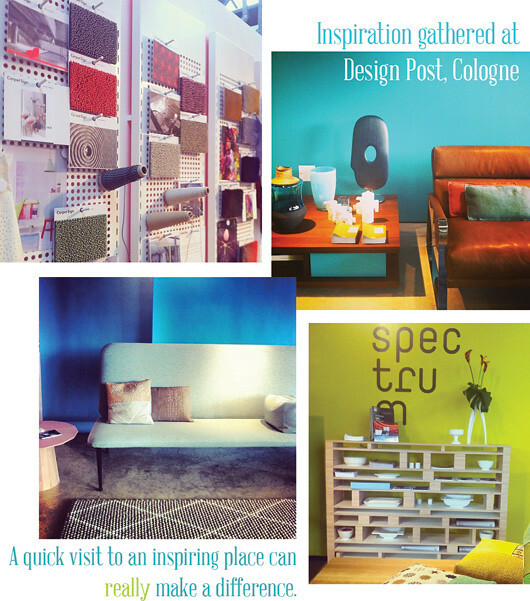 While at imm yesterday, my friend Steffi and I ran over to Design Post, a gorgeous permanent design (furniture & accessories) showroom located on the fairgrounds, for about 15 minutes per her suggestion. 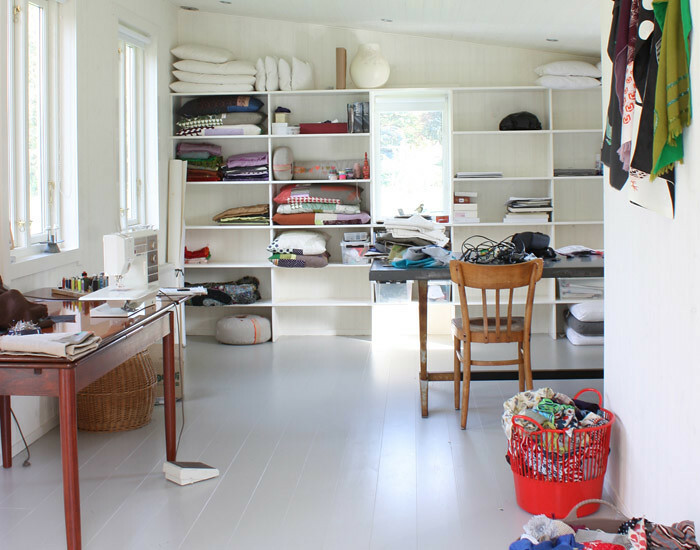 In that short amount of time I gathered a ton of inspiration (and a few really nice catalogs). Would you like to see some things that really stood out for me, including one product that made its debut yesterday at imm cologne? While wondering the floor, I snapped these pics on my iPhone and shared them with my Instagram followers as I went along. You may be inspired by some of these bright and happy wall colors shown in my snaps because I sure was as I went about snappin' and grabbin' brochures and postcards as I went. I was in such a hurry that I had no time to chat with really anyone on the showroom floor but I did my best to capture as much inspiration in a short period of time as I could. I was on an inspiration mission, man. First, let's talk about sofas. Ahhhh, sofas. I have such an addiction to them. I could own a new one each year but that would be a bit expensive and materialistic of me. 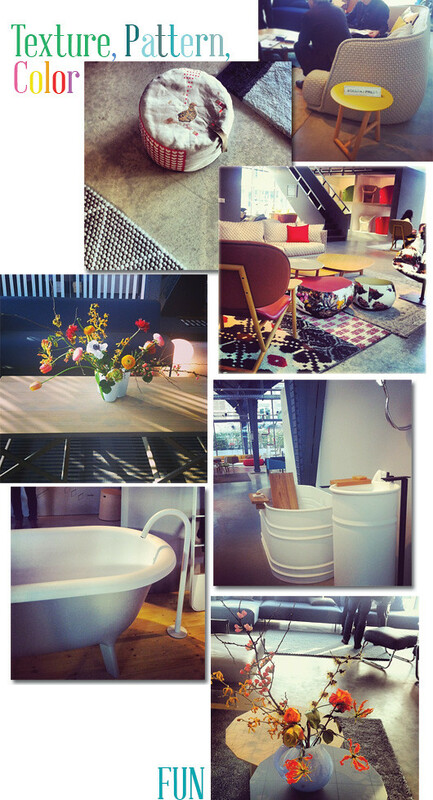 At Design Post, I was able to experience the wonderful world of Moroso sofas live and in person. 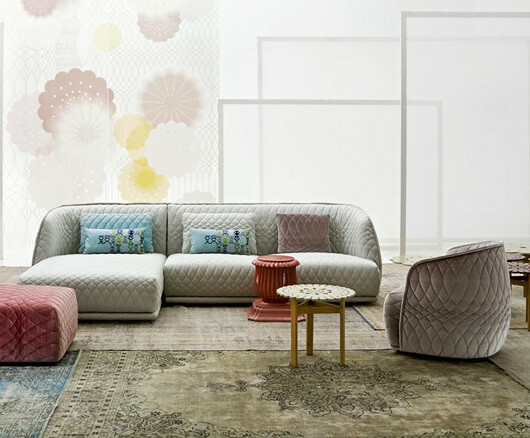 I've seen the Redondo in photos online but a Pinterest pic has nothing next to the real thing - I couldn't take my eyes away from the ravishing Redondo (in dove gray) designed by the amazing Patricia Urquiola. Can you see why? Next, I really loved seeing (and touching!) 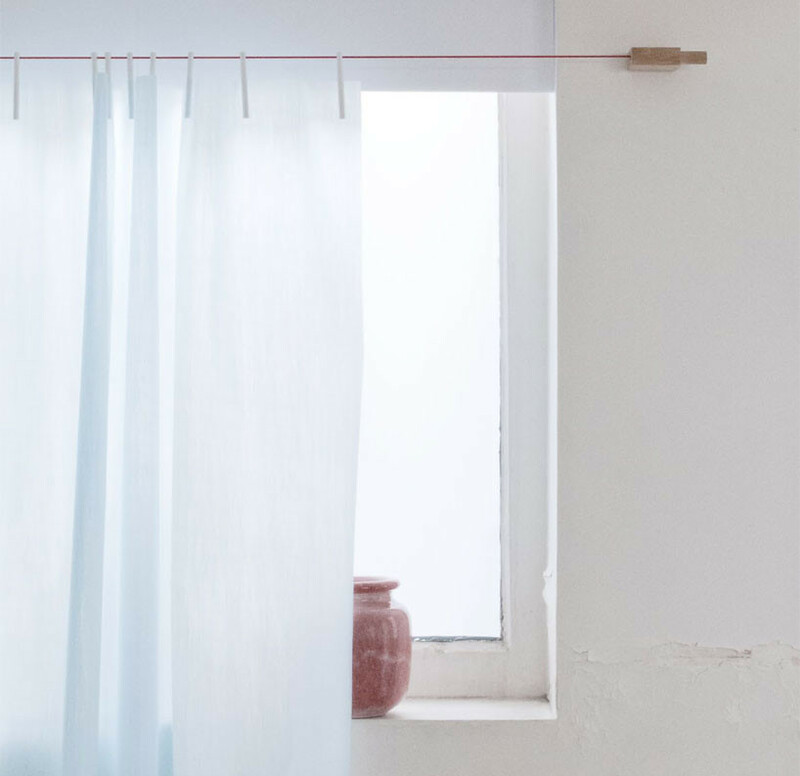 the Ready Made Curtains designed by the Bouroullec brothers for Kvadrat. 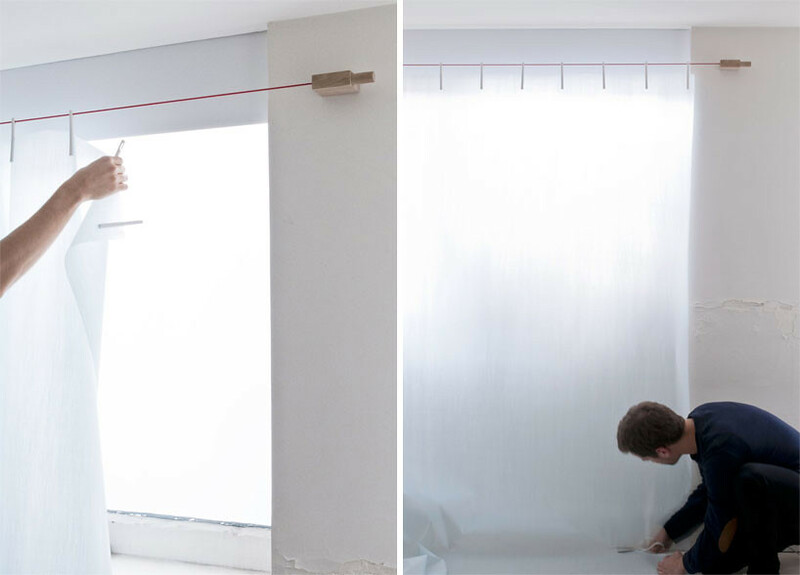 They came up with a clever solution to a common problem so many of us have fitting store bought curtains to windows of odd sizes (especially the case with older homes). Their curtains can be cut to length and when combined with simple wooden pegs and a "curtain rod" cord kit, you can install your own custom curtain and custom rod in a few hours. I googled to learn more about this system and found loads of info along with some great photos on Design Boom so click here for that - super cool! 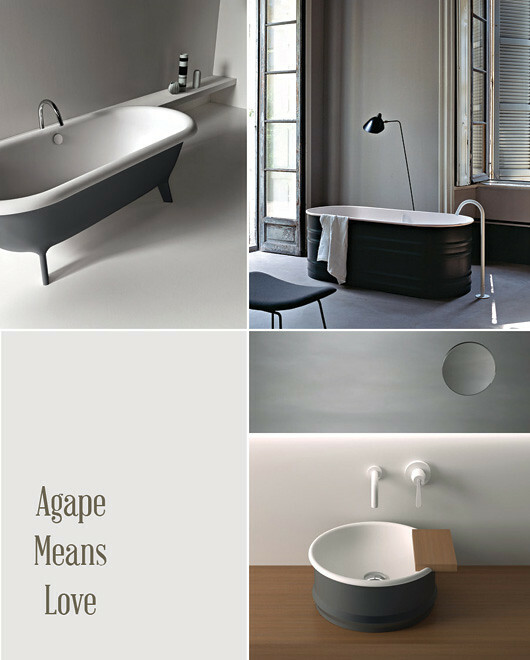 A company I discovered for the first time at Design Post is Italian brand Agape and their gorgeous bathrooms. I also met their brand manager, she ended up coming to my lecture, so that was a nice bonus. My goodness, their bathtubs left a mark on my heart. 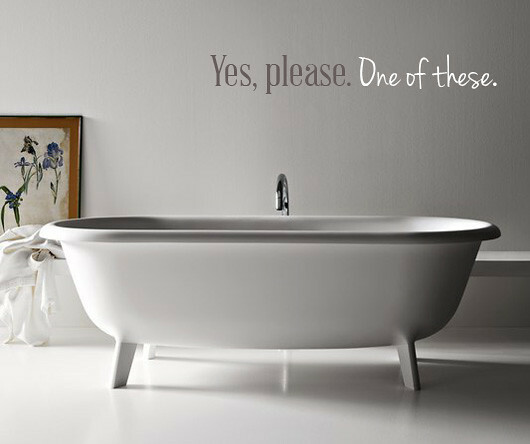 They were all simply gorgeous - works of art that are also functional and very spa-like. I imagined sinking into them and felt all dreamy inside. Ahhhh. Now all I can dream about is owning one! A new textile designer was also discovered as I shopped around, Dutch textile designer, Hellen van Berkel. 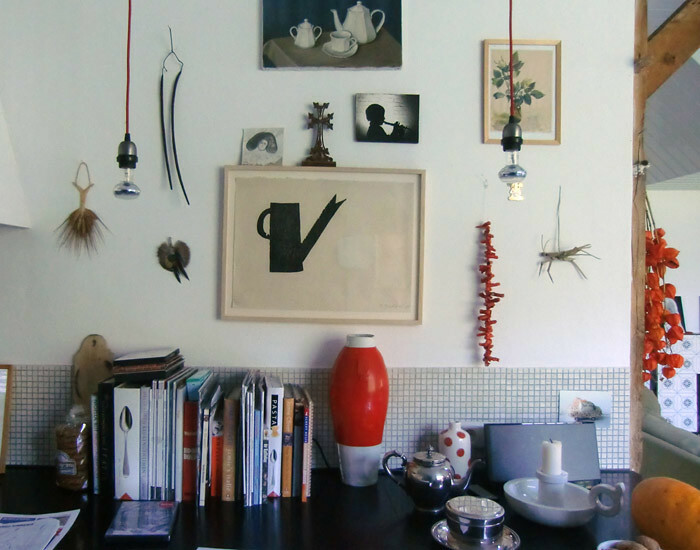 Irene from Bloesem ran a gorgeous interview with that you definitely must check out HERE complete with a home tour - a few glimpses are seen above and the image at the very top of this post is from Hellen's lovely home! What a great time I had in only 15 minutes and I discovered so many new things to inspire me. You only need a short period of time, an iPhone and determination to find something that catches your eye and before you know it, you will begin spotting all sorts of things if you go to a source that has things you suspect you'll like.